A USB keyboard tray can dramatically improve productivity by allowing users to move keyboards out of the way when unneeded and then adjust them to users' preferences. 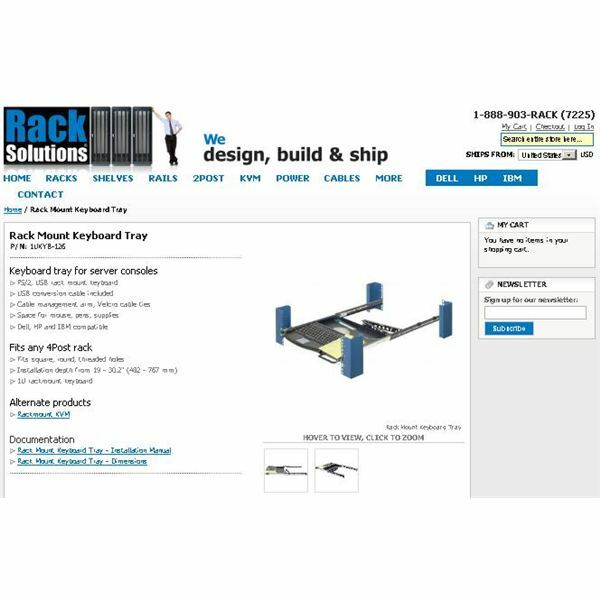 The following examples will help those who are shopping for a keyboard tray choose the one that fits them best. slide out for access. Often this type of tray is located directly underneath a rack mounted LCD monitor with a KVM switch nearby. Often, as in the case of the tray from Rack Solutions, the USB keyboard tray will accommodate both PS/2 and USB keyboard styles by including an adapter cable. The cost for this tray is around $200. 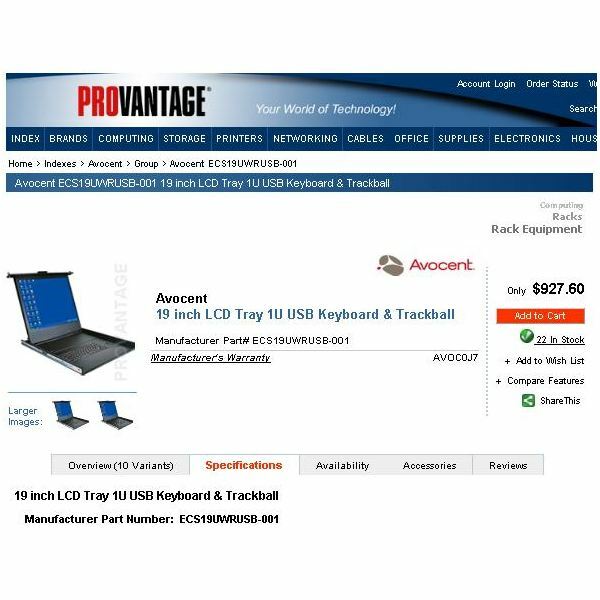 Other trays, such as one made by Avocent, include the LCD monitor, keyboard, and pointing device in one module, offering even more convenience and space efficiency. Of course, devices like this one cost more, in the thousand dollar range in many cases. taken up by a keyboard by storing it underneath the desk. This keeps keyboards easily accessible while making the most out of limited workspace. 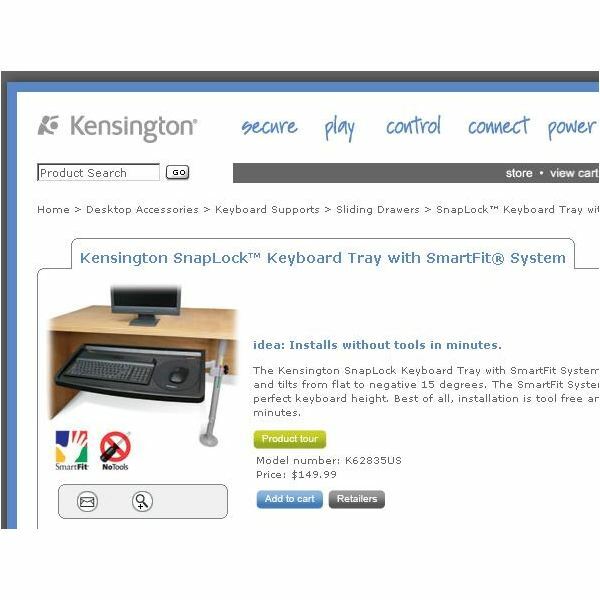 The Kensington SnapLock keyboard tray is just one example of this type of tray. The Kensington product is designed to fit on virtually any desk and does not require any tools for installation. This particular keyboard tray costs about $150 when purchased directly from Kensington. of the desk. This configuration does not save as much space as an under-desk device, but it still can free up valuable space in cramped quarters. Innovera has a good example of one. 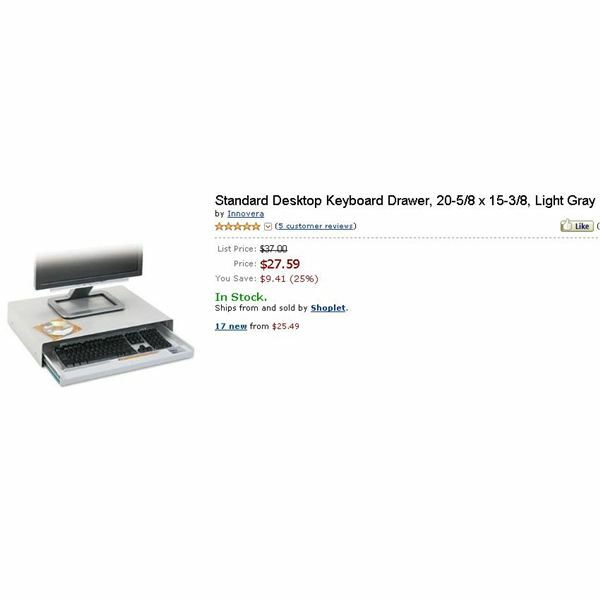 It sells at Amazon for less than $30. areas, parts counters, and other non-standard work spaces. Erogotron is a company that makes a lot of different varieties of this type of tray. The LX wall mount keyboard tray will swivel effortlessly to adjust to anyone in a sitting or standing position, bringing added convenience and accessibility to a variety of situations. This particular device is available from Ergotron for a price of $299. 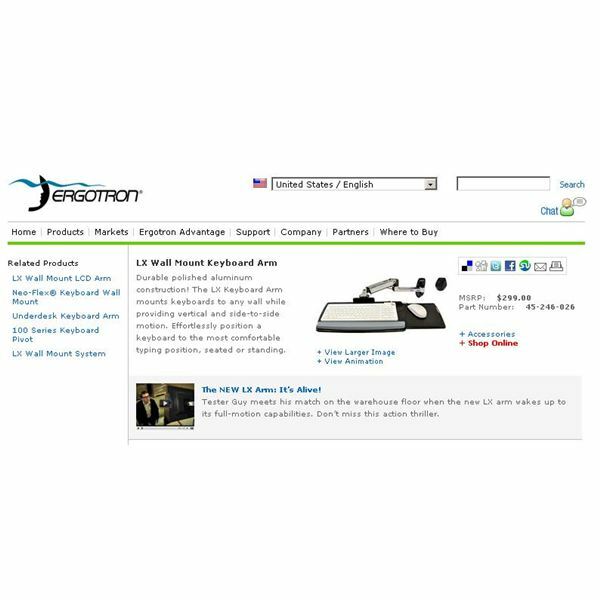 Variations of this type of keyboard tray are available that also include an arm to hold the monitor. These key variations of the keyboard tray will help shoppers direct their efforts to the style of USB keyboard tray that are listed above. In each category, the examples shown are a good place to start, but shoppers should be careful to shop around to get the tray that meets their needs at the best possible price.